I’ve worked with a number of non-profit organizations during my eight years in the legislature. I understand the valuable services they provide in our community and at a substantial savings to the state. 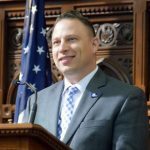 I have always been an advocate for maintaining the most quality services for vulnerable residents in Connecticut. How we treat this population says something about us as a society and I believe it is absolutely necessary to reflect our humanity and desire to care for one another. I will advocate for protecting funding for these services in any and all budget documents that come before me, and I will advocate for increasing non-profit investment to reduce cost to taxpayers vs. state services. Yes, I support non-profit tax exemptions. We need to create an incentive for the valuable work non-profits do in our state. Further, any costs passed on to non-profits will be borne by taxpayers anyway. Yes, I commented on this above. I would like to hear your concerns and desires in this area so I can be more informed and understand the role of state government in this area.